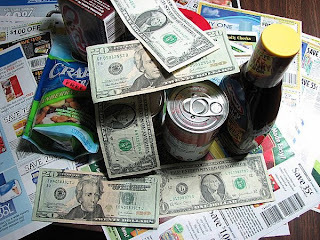 I'm getting questions about how I try to save money at the grocery store. I'm going to try to put some thoughts down this week to help everyone out. First of all, I have to admit that almost none of the things I do are original ideas. I've gleaned them from friends, family, other websites and blogs. I try to absorb when people mention deals. The first tips I have are tips you will see everywhere you look. They seem like no-brainers, but are important to remember. If you get cold easily, take a sweater/jacket with you to the store. When you are colder, you get hungrier and grocery stores count on that. They keep the store cool on purpose to keep you a little hungry. The hungrier you feel, the more food you will impulse buy. Never shop without a WRITTEN list. The mental list is a bad choice as you will impulse purchase more items thinking it 'might' have been on your list. Don't deviate off your list. Use a special portion of your cart as the impulse purchase area. It's suggested to use the seat of the cart but I often have a child in that seat. You can set a basket into your cart or create a spot for the items not on your list. When you see how many extra items are going into the cart, you might want to stop and assess whether you need those items or not. Here are some things that I have discovered and try to do as well. Price match. It takes a little extra labor in the front end, but will save you a small fortune in the end. WalMart and Fareway price match. There is a rumor going around that HyVee might---but I have not confirmed it. I go through the ads and write down the item, size, price and what store that price is found at. I also note the quantity that I intend to purchase. Then I add the other items to the end of my list that I am not price matching. As I shop, I check the price against the sale at the other store. If it is lower at Walmart, I just put it in the cart and cross it off the list. If I will need to price match, I use a special area in my cart for price matched items AND I circle that item on the list so I can find it faster at the checkout. When I check out, I load all the non-price matched items first, put another divider bar, then I place all my items to price match. By the time she scans all the full priced items, I'm unloaded and standing there with my paper to go through the prices. She will get to the bar and ask if I need a separate order. No, everything beyond that bar will be price matched. It speeds the process and makes sure I don't overpay for items. Use coupons! I've learned that coupons are usually for the most expensive brands and we have heard repeatedly to not use them because you'll pay more. Watch the ads. If that brand is on sale, check what the final cost will be after the coupon is applied. You'd be surprised how much you can save. Buy loss-leaders. 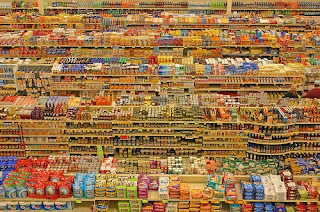 There are items every week sold at the grocery store's cost or below their cost. They try to draw you in with a few really inexpensive things to gain your impulse purchases at full price. Take advantage of these savings. Remember that items typically go on sale once every quarter (10-12 weeks). If you see a great deal on chicken and you have enough for a few weeks, stock up anyway. Chances are it will be another 3 months before you get that good of a price. Stock up in 2-3 month increments. Meat: remember that grilling meats are less expensive in the winter (when you can't grill) and stew meats and casserole meats are less expensive during grill season. Stock up when it's the wrong season to cut the costs later. Shop top and bottom shelf--not middle shelves. The most expensive brands are in the middle because they pay grocery stores to be at eye-level. Since they pay for premium space on a shelf, you pay for it in the prices. Bulk sizes are usually lower and generics of the same item are usually higher. I use a lot of generic items if the name brand isn't on sale or doesn't have a coupon. Buy bulk then separate at home. FYI--everything but sour cream (in my experience) can be frozen. Chips and breads have to be used a little faster when thawed, but they are fine. I buy and freeze many things. I hope that helps. If you have tips I forgot, add them in the comments or email me and I'll do a follow up down the road. On additional tip - plan menus based on what is currently at a lower price. For example, if chicken is on sale for a great price - that week we have a lot of different variation on chicken - chicken enchiladas, BBQ chicken sandwiches, cheesy chicken sandwiches, chicken pot pie, etc. I do the same this with beef - first as roast, then french dip, then enchiladas, then beef soup. You get the picture. I also buy up on loss leader meat and bake, cook or portion it off when I get home. 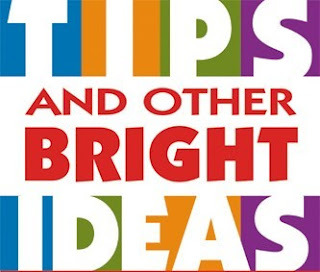 One other tip - I create my grocery list in order of the aisle of the grocery I am using - makes shopping much quicker and I focus on just what I need. Thanks for all the hints, Robin - I especially like the one to put what is an impulse purchase separate to see how much that is. Love your Tuesday tips!!! Brenda already commented on one of my tips--putting your grocery list in order by the aisles of the store. We created a little sheet for this. 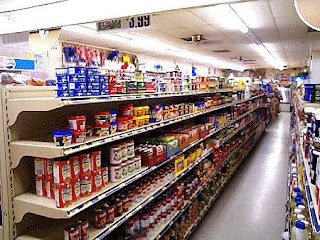 Of course, if you shop at multiple stores this is a little more tricky, but at least divide your list out by common items "Canned Vegetables, Dairy, Meat, etc" because those types of items are always together, regardless of store. Another tip is to price comparison non-sale items of commonly used things. We are members of both Costco and Sam's and price comparison items between those 2 plus our grocery stores to see who has the cheapest non-sale prices on the items we use the most. We try to do this at least once a year because prices can change over time. It also helps you determine whether you really need to buy the bulk size or not. Have you ever heard of the grocery game??? You subscribe to it and you get to choose the stores and it tells you what coupons to use and with what store coupons. Can be labor intensive but i know people who have actually saved over $100. My friends mom actually got $ back but that was in Texas and they do double and triple coupons in some stores.